Delhi residents woke up to yet another dusty morning on Thursday as the air quality in the national capital remained on the 'severe' and 'hazardous' level in many areas because of a ground-level dust storm in western India. Strong-anti cyclonic winds, blowing from Rajasthan, are the reason behind the worsening air quality. According to AQICN, on Thursday morning, PM10 (particles with the diameter less than 10mm) level was beyond severe at 778 in Delhi-NCR area and 824 in Delhi particularly, leading to hazy conditions and limiting visibility. While the AQI of R.K. Puram saw a drastic jump from 660 to 999, other places like Mandir Marg (770), Dwarka (347), DITE Okhla (801), Punjabi Bagh (646) and ITO (816) saw the air quality plummet to hazardous levels. 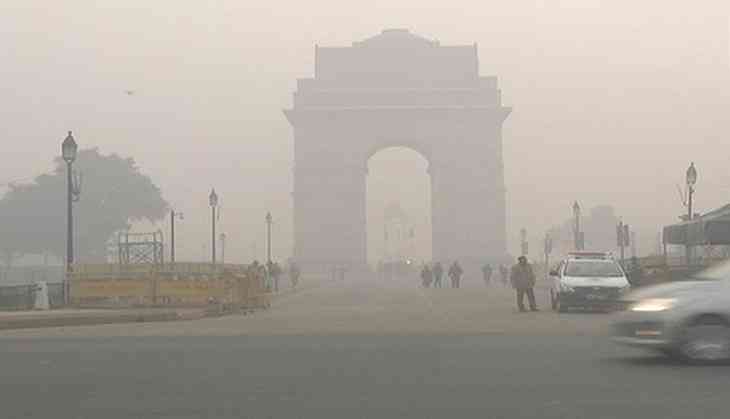 The air quality of Lodhi Road area and Rajpath area remained in 'poor' category at 262. According to reports, the current conditions are likely to last till Friday. It is to be noted that a number of dust storms have struck the northern part of India several times in this year's summer season, causing casualties and loss of properties. As per the AQI level - from 0-50 is considered 'good', 51-100 is 'satisfactory', 101-200 is 'moderate', 201-300 is 'poor', 301-400 is 'very poor', and 401 and above is 'severe' or 'hazardous'.